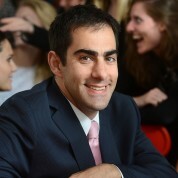 Brett has led Teach First as its CEO since its launch in July 2002. He wrote the original business plan for the charity while working as a management consultant at McKinsey & Company. Teach First is currently the 4th most prestigious graduate recruiter in the United Kingdom and is working to close the achievement gap in England and Wales between children from low-income backgrounds and their wealthier peers. Originally from New Jersey, Brett has an Honors Bachelors degree in Economics from the University of Richmond and a Masters degree in Economics from the University of Hawaii. Brett is Co-Founder and Trustee of Teach For All, he also serves on the board of Future Leaders and on the advisory boards of the Educational Endowment Fund and STIR. In 2007 Brett was named the UK Ernst & Young Social Entrepreneur of the Year and was awarded the 2010 CASE European Leadership Award and the 2013 UK Charity Principal of the Year Award. Brett’s book “Success Against The Odds”, a candid account of the first 10 years of Teach First, was published in September 2012. "By highlighting the fantastic work of teachers across the globe, the Varkey Foundation’s Global Teacher Prize is providing the profession with the status that it deserves, and the opportunity for others to see how schools are serving the needs of every child, regardless of their background."